As an INDIVIDUAL, you automatically become a member of Gymnastics Ontario when you join one of our member clubs. Go to ‘Find a Club‘ to look for a member club near you. If you are not associated with a member club and require an individual membership for NCCP course registration, refer to the Unattached Participant Registration Form that is available on the Forms page. To apply as a member CLUB of Gymnastics Ontario, you will need the following information/documents available to complete the online application process. It is important to note that the New Club Application must be approved by the Gymnastics Ontario Board of Directors. 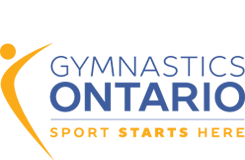 Note: It is important to have your club name approved by Gymnastics Ontario prior to registering with the Government of Ontario. Additional Locations The name, location, mailing address and estimated membership numbers of all locations must be included. Articles of Incorporation All clubs/organizations must be incorporated as a not-for-profit or a for-profit organization and provide proof of incorporation. Board of Directors Not-for-profit clubs must provide a list of their Board of Directors. By-Laws Each not-for-profit club/organization must have by-laws. Club Name The name of any new club/organization must be included on the application form after the name has been approved by Gymnastics Ontario. Club Logo A copy of the logo used by the club/organization must be provided. Coaching Staff A list of all coaches in all program areas must be provided giving the full name of the coach, the NCCP number, all levels of NCCP certification and Risk Management Course date. At least one coach must be NCCP Level 2 fully certified (or Competition 1) as a minimum. Equipment A complete list of all equipment must be provided. Facility New clubs must provide an Occupancy Permit or a Lease Commitment, if applicable. Insurance All new clubs must provide proof of insurance for non-gymnastic activities/programs not covered by the Gymnastics Ontario insurer. Screening Program A Police Record Check for the Level 2/Competition 1 Coach, President / Owner. Once you have completed the application process, you are require to email the Operations Manager at operations@gymnasticsontario.ca to advise that you have completed the process. The Operations Manager will review your application and contact you to confirm completion, of your application, and the date to which the Board of Directors will review and either approve or deny your membership. If your membership is denied all funds will be reimbursed.